White Shorts by V5 Paris. 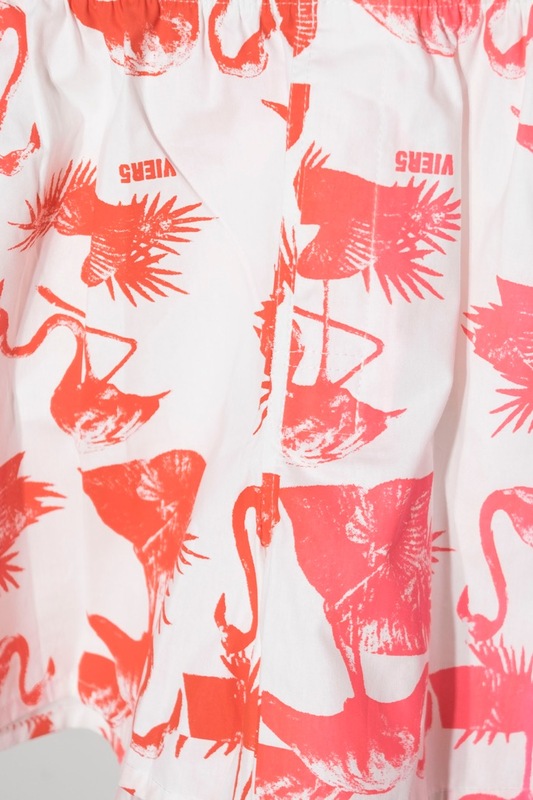 Classic drawstring waistband, all-over red Flamingo silkscreen print, regular fit. No surprises, it‘s a classic cut. Designed and hand made in Germany.